Prior to this recipe, I had never used lemongrass. It smelled like Pledge to me. But this recipe drew my attention. It was so simple and tasty. I made sure to leave a bit of the marinade pulp on the chops. It browned and caramelized very nicely and added an extra pop of flavor. MMMM!!! You will love this recipe! Place the pork chops in a large zip-lock bag, and pour the marinade to coat. Squish the marinade around to coat the pork chops evenly. Refrigerate for at least 6 hours, up to 24 hours. 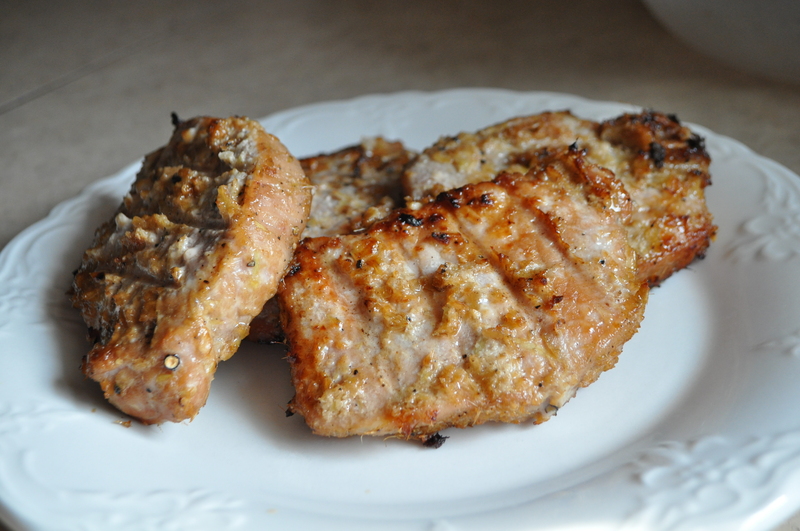 Allow the pork chops to rest at room temperature, about 30-45 minutes, before grilling. Grill over medium heat for 4 minutes on each side or until cooked through. Makes 4 servings.